Can you lay Lawn turf in winter? Laying turf is a dirty job at any time of year. Surely you’d be off your head to even think about laying turf in winter, or can you? The weather today is very cold, damp and wet, and conditions on sites are less than ideal, however experience has told me that it all depends on the ground conditions and provided you can prepare the soil, avoid compaction, mud ruts and the weather’s not freezing or wet, conditions can be ok for laying turf. 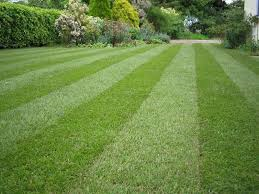 Also another disadvantage is the conditions in the production fields, producers would not wish to supply frozen turf that falls apart during cutting or laying so if it can be cut it can be laid. Best to always check with the company first. Our turf is produced in Suffolk on sands by the cost, that usually means that frosts are less of a problem.